Shazam has launched a special charity edition app for iPhone, with (Shazam)RED supporting the fight against AIDS, tuberculosis and malaria in Africa. 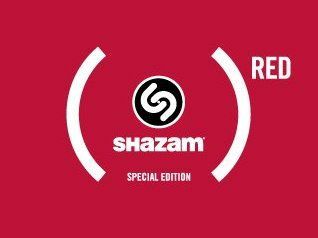 The special edition not only brings all of the functionality of the Shazam Encore app, but also contributes 20 per cent of the £2.99 fee to (RED). "(RED) enables consumers to positively impact the lives of those living with AIDS in Africa through their purchases of products and we are incredibly honoured to be the first mobile app company to partner with them," said Andrew Fisher, CEO of Shazam. "Given our popularity and that we already have more than 10 million iPhone and iPod touch users around the world, (Shazam)RED is a powerful way for our audience to create real change in the world." Existing users can also upgrade their Shazam app, and get the warm feeling of doing some good whilst getting the latest tech. "In the three years since (RED) launched, our partners and events have generated $140 million (£84.5m) for the Global Fund, 100% of which flows straight through to AIDS programs in Africa," said Seb Bishop, CEO EMEA, (RED). "We're excited to expand our reach further with Shazam, one of the most recognized and exciting brands in the digital space. "Music is core to our brand, and (Shazam)RED will be another great way for music fans to make a real impact on the lives of those living with HIV in Africa."